This Flo-tech Lite Visco wheelchair cushion is made from a soft foam, and is ideal for those seeking that extra level of comfort. 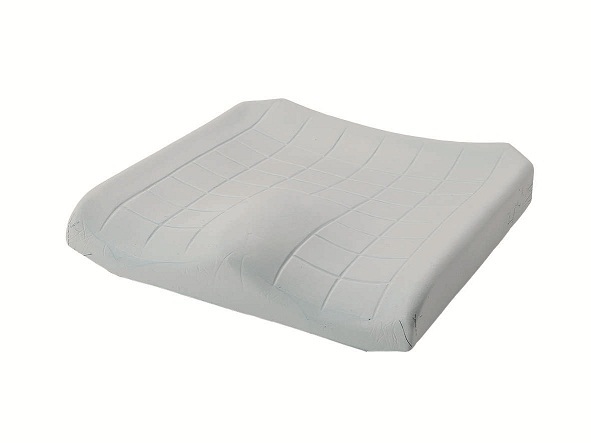 The temperature sensitive foam moulds to your body shape, providing comfort yet reducing peak pressure. Its contoured surface with front pommel and side support ensures increased lateral support and pelvic stability - encouraging good posture. Provided with its own waterproof resistant cover that is both water resistant and vapour-permeable. The cover also has a non-slip base and carry handle.